However, parents can and should be alert to possible signs of bullying and feel empowered to intervene when necessary. In some cases, symptoms of bullying can present as vague or confusing to a parent. A general guidepost for parents who are struggling with this dilemma is to examine whether any behavior directed toward their child is deliberately hostile and repetitive in nature. As well, is the hostile behavior pattern reoccurring over a period of time? In general, bullying behavior ranges from attacks that are physical, verbal, or emotional. While physical attacks may involve pushing, kicking, hitting or pinching, verbal bullying may involve name calling, sarcasm, racial slurs and teasing. Emotional bullying can be more difficult to identify, but often involves children deliberately excluding another child from activities or ridiculing and humiliating another child. In particular, emotional bullying may include spreading false lies or rumors. This form of bullying has become more socially prevalent and culturally amplified through wide spread use of cell phone and internet access (cyber bullying). Importantly, at the core of bullying dynamic, is an imbalance in power or strength which results in a child having difficulty defending him or herself. In the next article on bullying, I will address ways to empower both you and your child in managing and addressing bullying behaviors across a range of social environments. Dr. Lydia Kalsner-Silver is a licensed clinical psychologist who specializes in the treatment of children and families. Her credentials include a doctoral degree from Rutgers University with an emphasis in multicultural counseling. Dr. Kalsner-Silver also holds two masters degrees in psychology from Columbia University. She has lectured and published in various subject areas including college student adjustment, child development, parenting issues and attachment across the lifespan. 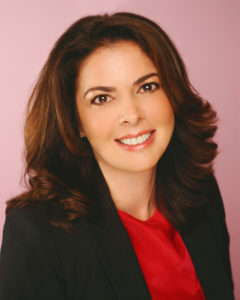 Currently, Dr. Kalsner-Silver is the clinical director and owner of Dr. Lydia Kalsner-Silver and Associates, a multi-specialty psychology practice with locations in both Miami Beach and Weston, Florida. This entry was posted in Los Influencers and tagged bullying, education, familia, Family, kids, Mami, padres, Parenting, parenting advice, Parenting Tips, Tween, Tween Education, Tweenversations. Bookmark the permalink.